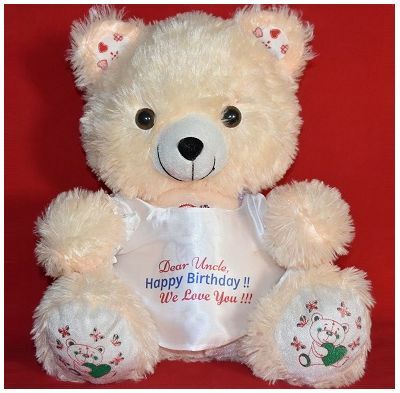 Are you waiting to give gift for your friends birthday,so this is the greatest gift in your friendship. Gift this to impress your love and definitely it will work out.It is so soft to touch and easy for children to play anytime. 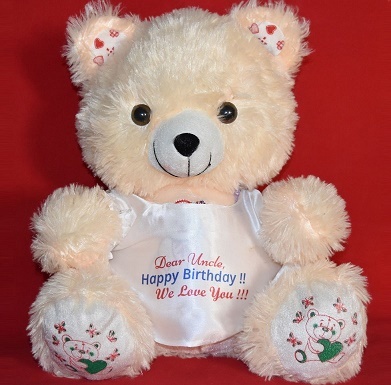 Send this teddy bear with your Own Message Printed to your loved ones. Height 13" (13 inches). • The image displayed is indicative in nature.